Y is for Yellow Lines | True story. Really. The other day I was driving to work on a somewhat curvy road and found myself thinking about how close I – and the other drivers in my lane, and the other other drivers, who were coming toward us – all were to the double yellow lines painted on the middle of the road. At any given moment we could be less than two feet from each other, driving at speeds that could cause serious mayhem if we got in each others’ lanes. The only thing that keeps us from crashing into each other are the yellow lines and (and this is key) our willingness to obey them. All of which started me thinking about the other, more metaphorical yellow lines in our lives, the unspoken social guides that keep things orderly. We probably don’t even notice them most of the time, until someone gets too close or actually crosses them, and then things can go haywire. I was in a situation recently where someone crossed the invisible yellow lines that separated us, hard and without hesitation. She did return to her lane, eventually, but it threw me off for days. This is someone I don’t especially like or respect to begin with, but with whom I am obligated to interact (isn’t being an adult grand sometimes?) and puzzling over how I was going to deal with the disruption took over my brain for longer than I was happy with. It took a couple of weeks, but things are back to a kind of normal now – actually, in some ways they are vastly improved – but it was a stark reminder for me of how valuable the unspoken rules of civil discourse are in daily life. I don’t have any grand conclusions here, or words of wisdom, except maybe to go back to Ernie Banks, and the idea that ‘we care about things, but not too much.’ And that time and patience can sometimes solve (or at least smooth out) even really vexing problems. * This is not, perhaps, the best example of staying in my lane, but then she borrows my clothes all the time. And when I do say it, I usually say it to her, so there’s some symmetry at least. 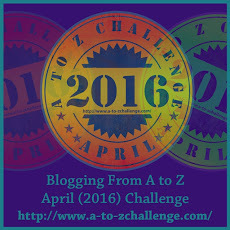 This entry was posted in Challenges, Miscellany and tagged #atozchallenge. Bookmark the permalink. I’m starting to think I might need to adopt this expression. Road rage is bad enough – off-road rage can be worse since it is truly in your face. Great post – thanks for making me think so early in the morning. Glad you liked it. She brought me up short the first time she said it, as she often does. Now I’m also going to add ‘off-road rage’ to my vocabulary as well. I have that feeling about narrow lanes and being so close to oncoming traffic. Sometimes it seems people are not even aware of those unspoken yellow lines in other places. True enough. And we may not always see them in the same places for that matter. Ignoring them completely is always a bad idea, though, and a regular practice for some. I’ve also enjoyed your variety of posts – really great stuff! Thanks very much, and thanks for coming by and commenting! What a perfectly clear yet very respectful way to set boundaries with difficult people. I love this! Thanks. I’m glad you liked it, and I’m so glad you stopped by!